The last round of citizen comments from the August 18 Columbia Borough School Board meeting is presented below. At issue is the shared service contract between the Columbia and ELANCO School Districts that includes the hiring of former Columbia School Board President Tom Strickler as director of operations. Previous citizen comments from this meeting can be found HERE and HERE. 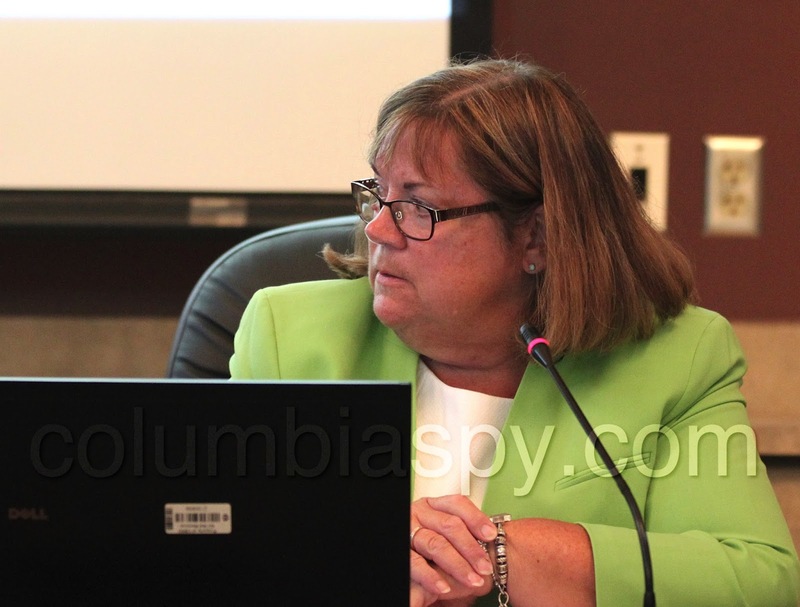 Vern Detz: "I feel as though this is a disservice to the taxpayers of Columbia, and I think everyone that voted for this without doing the due diligence should resign. I really don't think you have the best interest of Columbia at your forefront. I believe that the intent may have been there. We rushed it. We didn't dot all the I's and cross all the T's. I believe it's going to cost more than 165 [thousand dollars] that's being thrown out there. Some of my questions earlier and the answers I got kind of justifies that statement. We need to have leaders and not followers. I heard a comment and I will not use the name, but I will share the comment, that we must to do what Mr. Strickler and Dr. Klawitter want us to do. A board member made that statement knows who it is. 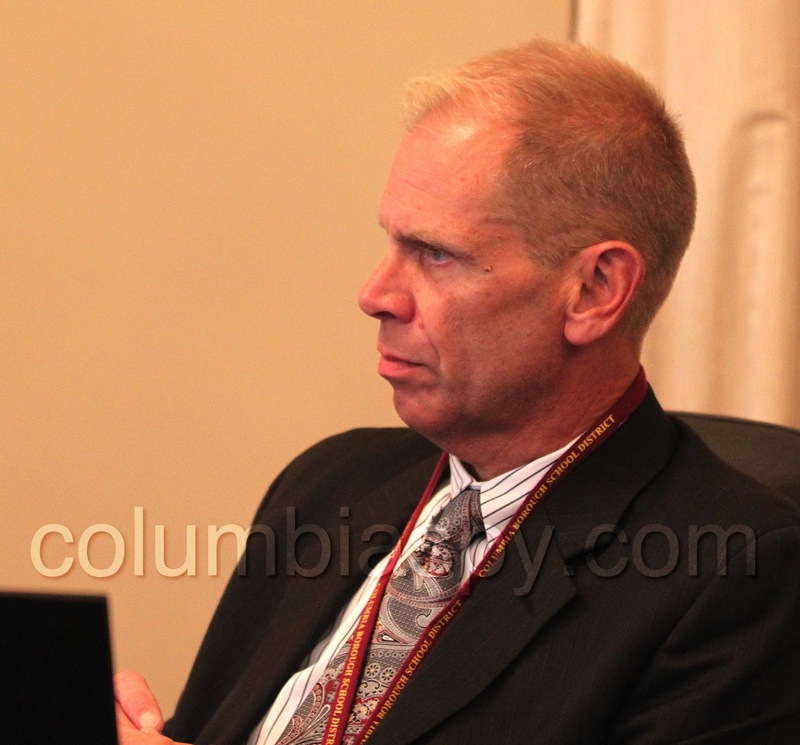 I want it out there that I believe this is a terrible deal for the taxpayers of Columbia." Frank Doutrich: "I'd like to tell the board and Mr. Hollister why I'm here. I'm here because of the $22 million debt we have. I'm here because a school board member resigns, and the next thing I know a director of operations that comes into play. But I'm really here too, to tell you my tax bill is $13,000, and I'm here to find out or to see where my money is going or what my money is going for. Also, yes I care about the kids. I care about the interest on that $22 million. What could that be doing for the kids? I was concerned enough to attend the meeting of the whole, come there ask questions, got some answers to the questions, and then I was told go to ELANCO, we don't have the other answers to your questions. 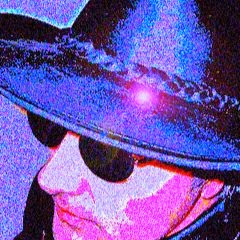 I was told by Ken Klawitter, told by some members of the board. So, I traveled to ELANCO and when it come comment time, I missed it so I had to stand up next to some other things on since that. The chairman [ELANCO Board President Glenn Yoder] said you can't speak, you're not a resident of ELANCO school district. How he knew that I don't know, he never asked me where I was from, so I had a feeling they knew somebody was coming from Columbia. So then you, Dr. Hollister, said you would meet with us in the back, after the meeting and pass the comments on. We got about a five minute session with you and then you had to go to a meeting. I still had a lot of questions then. I'd like to also tell you is when you come to Columbia don't only stay at the school, walk downtown, go down Locust Street, talk to the people, see what they think about high taxes in the town. The people that has to move out, it's a shame. I - like other people - I tried to get to the bottom of it, but not everybody will speak out as Kathy did here tonight. I respect anyone that would set the record straight. Really, really, I really appreciate that. Thank you very much." Sharon Lintner: "Is the board seat still vacant?" Unknown [believed to be Hollister or Knighton]: "Yes." Lintner: "Ok, if I misunderstood Kathy - I hope I did - during your comment you said there was name calling by the board. Is that what you said or did I misunderstand that?" Board Vice President Kathleen Hohenadel: "That has happened, but not at public meetings. It's behind the scenes." Lintner: "That would be bullying, and we ask the students not to do that. We would hope the board would be set to a higher standard. And I think disagreeing with someone else's opinion is part of having a democracy, and I think civilized people need to respect each other. How do you expect to fill a board seat if people find out about that? Who would want to sit there and if they disagree they're going to be called names?" Don Groom: "Mr. Strickler's salary, I know the range was $85,000-99,000 as reported in the paper. I'm just curious why it went to the upper end, when he had no experience running the school. I'm just curious why it wasn't more towards the lower end." Superintendent Robert Hollister: "That was my decision, based on his resume and experiences. The fact that he had a number of startups that he did in his career, the large number of folks that he supervised at one time. I felt that was justified. That was my decision." Groom: "I was in the meeting of the whole last Thursday, and I asked the question about how much this is saving the school district. Dr. Klawitter said $8,000, I think was the figure that was thrown out. The paper said $6,300. I don't know if its $8,000 or $6,300, but the paper also said then that $30,000 is going into ELANCO's general fund. Now, can somebody explain to me why we have to pay ELANCO $30,000 to save $6,300 or $8,000? Hohenadel: "ELANCO's contract that's been approved by the board - the number that is listed there represents several costs, since we do have Dr. Hollister 20% of the time, that number that you just quoted represents about 20% of his salary. We're also paying the costs of the director of operations, and we're paying some of those other costs that were listed earlier by Mr. Detz. But the total cost that Mrs. Anspach and I both believe we agreed to is not to exceed $165,000 in total - was our understanding, so that is what we had presented to the board. That's what we believe the agreement to say, and I hope it sticks to that this year, not to exceed the $165,000 in total. But the portion you said represents since we have Dr. Hollister 20% of the time, we pay the equivalent of 20% of his salary. He, however, cannot collect that, because that would be an ethics violation - on the advice of his attorney - so that number pays for his salary, but goes into their fund." Hollister: "You've hired, for a reasonable price, a very experienced superintendent. You folks don't know a lot about Eastern Lancaster County, I'm assuming, but our financial house is in order. In six years we're debt-free. Talk about 22 million, Frank, we're debt-free in six. We'll have a two million dollar surplus in six years, the year I retire. So, my hope is that we can bring some of that financial prudence to the school district here. You wouldn't find that in a superintendent who had no experience, because it takes years to understand where to find all those savings. How to re-negotiate contracts, everything from trash disposal, snow removal all those contracts, you get better at negotiating that with experience. So, I understand what you're saying about the $8,000 doesn't sound like a lot of money, but when you start bringing some of that experience in, in a year's time, we'll know what other money we found for you." Groom: "With the shared superintendent, I was hoping it would be a 50/50. I understand you're only going to be here one day a week, which is kind of disappointing." Hollister: "My parents in ELANCO are saying why should we share him at all? I cannot take a dime for this position. I've got two communities I've got to keep happy." Groom: "I understand when Mr. Strickler resigned from the board, there was a motion to make Mr. Knighton president and I'm just curious was anyone else nominated? Was Ms. Hohenadel nominated since she is vice president?" Board President Cole Knighton: "Nope, there was the opportunity for that, certainly. You can have more than one nomination. Groom: "Isn't that kind of a slap in the face to Ms. Hohenadel? I mean, she's vice president, she's good enough to cover the meeting when the president isn't there, but nobody wanted to promote her up to the president. It just seems, it just doesn't seem right." Board member Charles Leader: "I was out of the country at that time. I wasn't here to make any vote. I asked this the other night at a meeting, and no one could tell me if they follow Robert's Rules on this board. No one seemed to know. In Kathy's defense and anybody's defense, the first person goes down, the person number two goes into that spot, so I think that's a gross oversight." 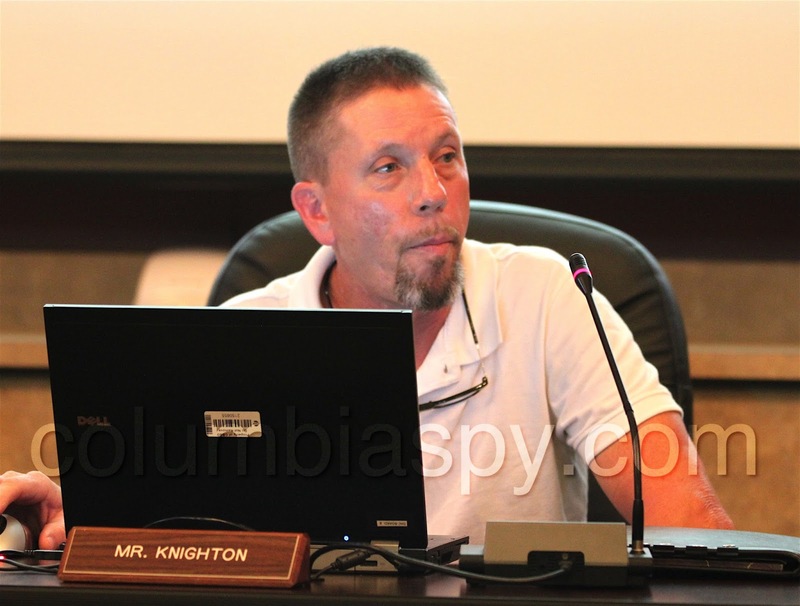 Knighton: "I believe it's in our policy - board policy that that's not the case, it doesn't have to be that way. I know that would be the perception, but it doesn't have to be that way." Leader: "I think ethically it should be that way." Fran Resch: "I was at a meeting of the whole last week, and it just surprised me that Kathy Hohenadel was not given any consideration at all to move into the position of the president. Everybody seems to have good answers, but it almost seemed contrived that going into that meeting somebody was told to make a motion and that was it. I questioned at that meeting why that happened and nobody could give me an answer. I'm a former board member, I resigned because [according to the newspaper] it was all because of health reasons, but as you can see I don't look too unhealthy, I don't think. I think I look pretty good for 70 years old. I questioned that because I wanted my letter to be put in its entirety and read before the board, and I don't think it was. I just pray that the board continues on the right path. I congratulate Kathy for the nice letter that she read tonight. I think she was put under a lot of pressure and she seems to take the brunt of it." Reread Mr. Hollister's comments about regarding his opinion of how great he is. It's little wonder that he gets along with the doo. Just read Mr. Hollister's justification for paying the doo so much money. Wonder what he will say when he is presented with the TRUTH about the doo's great record of start ups( can anyone name just one that was successful?0 and the large number of people that he supposedly supervised. How many people needed supervision at the Amish Farm and house? Can you deal with the TRUTH .....MR. Hollister, someone has played you like a fiddle. Re-negotiate contracts? Hatchet man? Job cuts. Well, who's job will be first? Mt. Hollister, you brag about cutting ELANCO debt, look at the tax base you. Compare that to Columbia's.Also, how many people are section 8 ,compare to Columbia. What is the percentage of transient people in ELANCO? Before you talk about saving money, you better look at the situation. Columbia is watching. Did you see how fast little tommy and narcissistic bob can run when the truth is chasing them? Faster boys , the truth is gaining on you. Two people affiliated with the Columbia Education Foundation spoke but not explicitly in support of the contract. They welcomed Mr. Strickler "aboard." Both have served with him on the foundation. I was going to inquire about that as well..... they need to publish those comments. I was at the school board meeting and I would consider those comments as supportive and optimistic. Columbia Spy should be printing/publishing "ALL" public comments not just the negative ones. Actually 85 people did not show up to talk about how much money the golf tournament raised. That was not the topic they came to discuss. If you want a full transcript of the meeting you can probably get it through a right-to-know request. The articles on this website focus on citizens' opposition to the contract and how it was implemented. We've already heard the "official" version from the "powers that be." I was at the meeting also and heard NO comments that were supportive or optimistic about this contract. Read the contract before you even dream that anyone other than the benefactors could support such a travesty. I found the school briefs in the Lancaster Newspaper, Wednesday August 24, page B4 West Edition/Local. Written by LNP Correspondent Marilu Garofola. This details the school board meeting of August 18, perhaps you'll find the information you need there. I attended the meeting also, and both speakers you neglected to quote both voiced support and optimism for this partnership. So this site continues to reflect and support negatism and only what a few thrive on. Give it a chance. Are we worse off for trying something different? The comment by Super Hollister of the Elanco School District being debt free in six years is from a current bond that was refinanced in 2014 in the amount of $12.5 million dollars. So they have a estimated $10 million dollar debt that ends in the year 2023. Was always under the impression that a person who falsifies a resume in any way can be terminated for that reason. That depends on the ethics of the hiring body. and we think our boro council is bad. i am so ashamed of the actions of every one of these school board members. i have NO idea how or why they just don't get it. you's are a disgrace and doing an unfair disservice to the taxpaying residents of this borough. step aside. let the consolidation process begin. close our schools. we can NOT afford any more of this....paying for the hundreds and hundreds of kids to go to school that live in rental properties and their parents pay NOTHING....no tax for the benefit of schooling. this system is so broke. so unfair. so unjust. Our taxpayers must remember that this contract needs to end, the unethical way that is was pushed through the boards must be investigated, and that the doo doo, while possibly, culpable, is not the main target. If people waste energy attacking the person chosen by Mr. Hollister They have taken their eye off the goal. The contract is the goal , and it must end NOW! In newspaper terms ,this story "has legs". Where is LNP?????? I believe the Mayor controls LNP and WGAL. So they will not expose this for what it really is. BUT Tom was interviewed today by WGAL, can't wait to see this! In good old straight talk, the taxpayers know what was done and why it was done and who did it. The devil is in the details. A wise man once said that if you are searching for answers, FOLLOW THE MONEY!! After reading about his mess happening in my home town, I decided to add a line to my resume' ....excellent manipulative skills when concerned with only my own welfare, particularly adept at hidden messages and back door deals ,extremely high sense of self worth, and, a belief that I am always the "smartest person in the room" Hope this works for me!!! Thinking of taxes, I wonder how many thousands of dollars are not paid thru the $15.00 head tax. You know a lot of the rentals do not pay since the go by the census form that is mailed and all the transients that move. well said. yes. step down. step away. go away. you are a disgrace. Do not forget to add MN aster degree, University of Phoenix. Real impressive, ha! Even though I do not have a degree from that "Mythical Bird University", I was able to count about 127 comments on this site over the last several days. They are overwhelmingly NEGATIVE. Going back longer , there are even more. Has anyone posted even 1 comment about how this agreement is designed to help our children learn . Probably not, because that is not their purpose. This could go as far as a federal judge, similar to Lancaster, because Pa. gets federal money for education, then passes it to Columbia with the implicit trust that the money be used for the education of the students. PDE is tasked as the watchdog to insure that everything is done in an ethical manner. Mr. Hollister is quoted as saying that his parents at Elanco are saying why should they share him at all. Guess what, many people here agree with them, you are not wanted here. Go home and give them that message. Just saying...do all basketball ref's have to report their ref income to the IRS? What about all the years this ref has donated all his officiating pay back to the booster clubs. I understand wanting the position, but if Mr. Strickler thought that he may want to work at CHS someday, he should have resigned from the board years ago. Everything about this Elanco thing was carried out by one person for one person. When this person tried this 4 years ago and was denied, this person resigned, temporarily, from the board, then took back the resignation before is was accepted. Guess who made the initial contact with Elanco? Why Elanco? That fact will soon come out in public. I believe Klawitter and Tom worked on this together. Would also explain why Powell is gone. This plan has been in motion for awhile, and I mean awhile! Ethics news...Allentown School District PR director was fined $14,200 in 20012 for violating ethics laws when he was working at the School District of Lancaster in 2007. Some people might be wise to get their checkbooks ready! To the one experienced school board member who is considering telling the truth, but is afraid. Do IT. It is your duty. You signed a code of ethics when you first got on the board. If there is information of wrongdoing, those that hide it are equally guilty. There is a difference between getting a job ...and keeping a job... as noted by a person's resume' . It is unethical for a board president not to share a resigning board members' entire letter with the board members who have to vote to accept the resignation. Saw WGAL's new cast tonight. They made this deal sound great. Sad to see they are not on our side. Were they paid off to have Hollister & Strickler praising the new deal? Mad me mad as hell! I missed that report, but I am 100% convinced that it was designed as a smokescreen. Notice that WGAL did NOT show up for the board meeting in spite of being informed ahead of time. Another slant. Maybe the news outlets will pick up if the people picket outside the next meeting at ELANCO. It is not a few but many who voiced concern. Tom should have applied for the business manager position and not the DOO position. The district needs actual leader with experience not someone who used his position to gain power at the expense of an entire community.